- After releasing the album Last Train Home and receiving an Icelandic Music Awards nomination for Best Album of the Year, gifted Reykjavik-based artist KALLI and his label Smekkleysa wanted to break further into the U.S. and global marketplace. Kalli also had previous success with the band Without Gravity and has had numerous songs included in award-winning movies such as City State, Failure to Launch and TV shows such as the lauded Criminal Minds. - The Orange County (L.A.) Music Awards “Female Vocalist of the Year” Kirsten Proffit’s debut release Lucky Girl with Broken Arrow had an impressive run at Triple A radio stations nationwide, and landed placements on TV (Friday Night Lights, Smallville, The Osbournes, One Life to LIve), in corporate branding programs (Wyndham Hotels, Fender Guitar, Regal Cinemas) and in numerous promotional programs. Her knack of crafting melodic, hook-filled pop/rock songs is evident again on her sophomore release My Devotion and will further position her into a wide-ranging fan base and branding appeal. 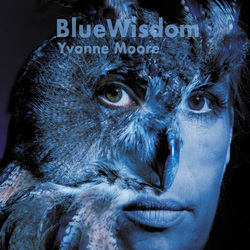 - Yvonne Moore has been called "the best blues singer in Switzerland", and her return to the form after 3 rock releases was as welcomed as it was lauded. Moore and her quartet came out of the studio with treasure after treasure of intimate, compelling songs in a mesmerizing atmosphere. The decision was made to release two albums in short succession, and re-establish Moore as a pre-eminent blues singer and arranger. - Coming off a very successful run with her album Sweet Rain, where she opened for such artists as Bonnie Raitt and Van Morrison, Shirley Grimes returned to her Irish roots with her 6th album release The Long Road Home. Forming a new band featuring percussion, mandocello, bass, fiddle, harmonium, piano and guitars, the result was a rich, classic sound that wonderfully surrounded Shirley’s singular vocals and songwriting. The release is her biggest seller to date. A very successful 60 date tour ensued in Switzerland, Germany, and France, with 25 shows being complete sellouts. - Broken Arrow selected songs from singer/songwriter Callahan's past catalog, re-packaged and re-purposed the direction to form Callahan's first solo release for the U.S. A full sales & marketing campaign followed, focusing on college radio and independent press, along with special events and a college tour for the expatriot. 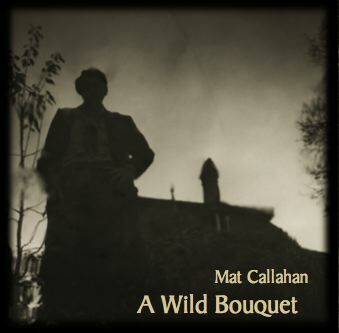 Callahan later released the book "The Trouble with Music" which enabled Broken Arrow and AK Press to join promotional forces and market the artist in creative ways, including a combined lecture/concert college tour booked by Broken Arrow.